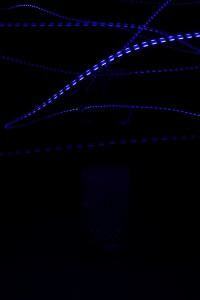 So fairy lights are pretty cool and can be used for lots of different things. 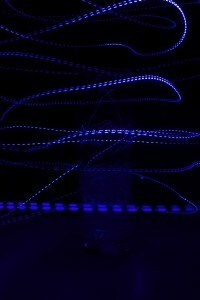 I wanted to try using fairy lights to create a spiral; I tried using a laser pen, which really didn’t work how I wanted. Doing this I realized that the best light source for creating a spiral is going to be a light where you can see the source or bulb as a drop. 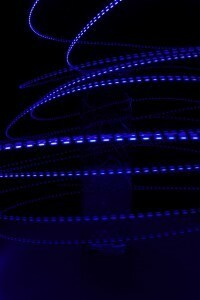 Of course that made me think instantly of fairy lights as they have that design. Now the main issue with using fairy lights is that they aren’t single lights they are strings of 20, 40, 80 and sometimes many many more. This does of course fulfill their original purpose but when trying to capture light trails having loads of individual lights isn’t always what you are wanting. Sometimes it is but sometimes you just want the individual light. So the first thing you need to do is hide all but one of the little lights. 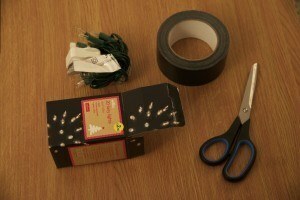 So as I said all you need is the fairy lights and the box they came in, some black tape (gaffe tape) a pair of scissors. What you need to do is put all the fair lights in the box but have the spare cable to the plug feed out through the box. 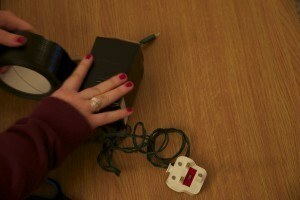 At the other end you are going to need a hole in the middle of the flap big enough for 1 light and its cable to fit. Feed the light through the hole and then close the box. 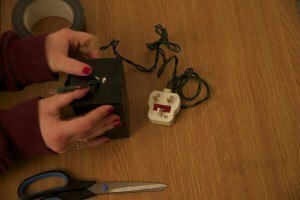 This should leave you with all but 1 light on the inside of the box and the power cable accessible, as you will need to plug it in. this is to ensure no light is reflected off the outside of the box, or leaks out from all the lights trapped inside. Basically the box becomes a ninja so you don’t see it in your images. 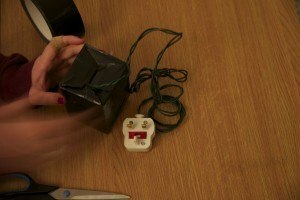 It is also a good idea to cover the wire up to the fairy light in black tape as well so that it is more likely to be invisible. Once you have your light tight box you are ready to go, well almost. 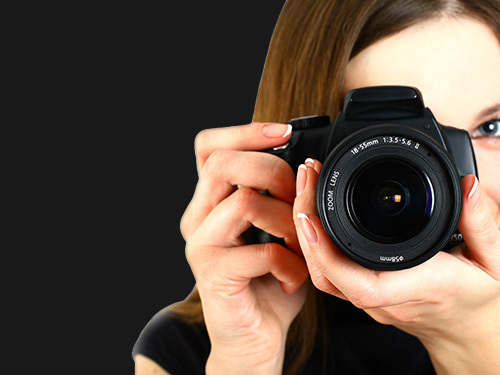 You are going to need to set up your camera and you WILL need a tripod! 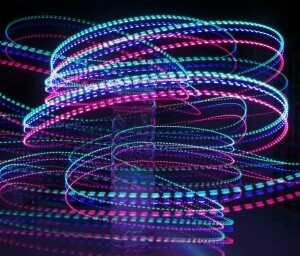 You need a long shutter speed as long shutter speeds are what is used to capture light trails. 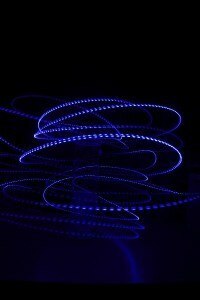 It won’t work if you have a shutter speed that is quick! Using the bulb setting is the best thing to use so that you can take as long as you need but most of these images were about 10 second shutters so you can use a preset shutter speed. If you are working alone, which you can do with this I would recommend adding a little to your shutter to give you time to press the shutter and then go and get set up and turn the fairy light on. So if you want to take 10 seconds of image I would do a 20 second shutter so you have time to get going. You don’t want the light on when you first open the shutter as the lights won’t be moving and will end up being very bright in one area. So the best thing is to get the lights moving how you want them before you turn the lights on. If you have someone there giving you a hand, which is always nice when taking photos as it can be lots of fun. 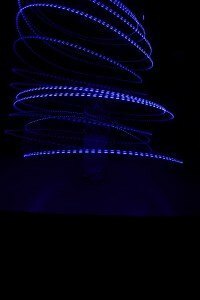 You can leave the fairy lights on and get them to press the shutter once you are ready. Or failing that a radio trigger for the camera will be your new best friend. Ok so I admit this was by no means my first attempt! It took about 30-40 tries to get it even looking like a semi accurate spiral. 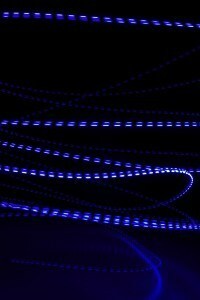 I ought to just point out that this image was created using LED fairy lights that are suitable for outdoor use too and I am not 100% sure why it gives this dotted line even though it was a smooth movement, I do however know it is down to the fact that they are LED lights and the way they were designed. Here is what my very first try looked like. So this is more what you can expect from a first try, it doesn’t fill the whole frame and it doesn’t really look like a spiral. Okay so it’s still a pretty cool image and could be used in future edits if you wanted. To start with I did put a subject in my image, this was for two reasons, one so I had something to focus my camera on and two so I have something to spin around in an attempt to help with the swinging of the light. Obviously for taking this image you need the room you are working in to be very dark. This will eliminate any unwanted background and will mean that the light is pretty much the only thing you see. So from the first image it was clear that I held the light too high up to start with and needed to start lower to actually fill the frame. So I pretty much dragged the light along the table for the first rotation to ensure it filled the image as desired. It worked out pretty well to be honest the angle was a little odd though where the camera is almost looking up though the spiral but I do like the different circles it made that weren’t too structured and have a sense of flow to them. The next few images didn’t really work very well. The spiral didn’t fill the image and wasn’t really anywhere close to what I was aiming for. So they weren’t very successfully, but seeing as it is dark when you are taking the images it is pretty hard to know if you are actually doing the spirals in the right place. I tried once more trying to keep the spiral a little tighter around the vase in the middle of the image. This one worked better and I think that the fact that the spiral isn’t perfect is a good thing for this particular image, but you can’t really see the subject so I decided to remove it and see if it worked ok. I had the shutter set to an aperture of the highest my lens would go which is f/16 higher than this would be good too but make sure that you don’t end up making it so dark that the light trails become faint and not so vibrant which has happened with a few of my images. ISO will affect these images as well so start with the standard value of 400 and alter it if needed. Without a vase as subject we are left with the light trail on its own. This is why you need a high aperture to ensure they are in focus as much as possible. High aperture, and a large depth of field will result in a lot of the image being in focus. One issue I have found is that I am filling the entire frame, which is good to a certain extent but you aren’t really seeing the spiral shape so I tried to make smaller spirals. Or if that’s a bit tricky you can use a wider frame so it fits better. With this image I also noticed that there was a reflection in the table I was using which I needed to get rid of at some point. 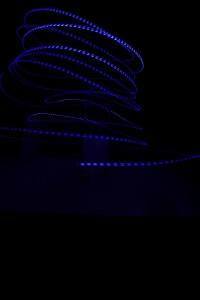 With a wider angle you get to actually see the shape of the light trails instead of just having lines of light, here you have more of the spiral shape. I re-introduced my vase as a subject to help focus the camera again as the use of a wider angle requires it to be re-focused. 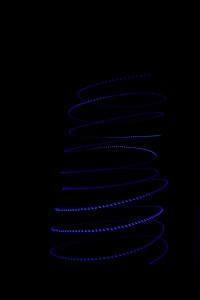 Something you could do is light your subject separately so using a long shutter speed you can create your spiral, turn the lights off and then use a different source of light to light the subject, or you could do it the other way, start the torch and end with the spiral. This image is a bit better still, the more image you take the better you will get and creating the spiral. If I am honest when you are looking at the light as you build the spiral you will be able to see the spirals as you go, as it will burn into your retina in a similar way to the sensor of your camera. Make sure you take some breaks just to gives your eyes a rest, you don’t really want permanent circle in your eyes! This is one of my favorite images that I took, okay so it isn’t exactly a spiral it is more just random circles round the vase and the image isn’t that straight. Oh and there is slight reflections in the table but I really like the random swirls and the difference in size and brightness and the distortion through the glass. All in all it makes for a pretty funky image. You could easily alter the colour in Photoshop if you ever wanted it to be slightly different, so with a little Photoshop magic you could turn the image I like into something a little funkier.